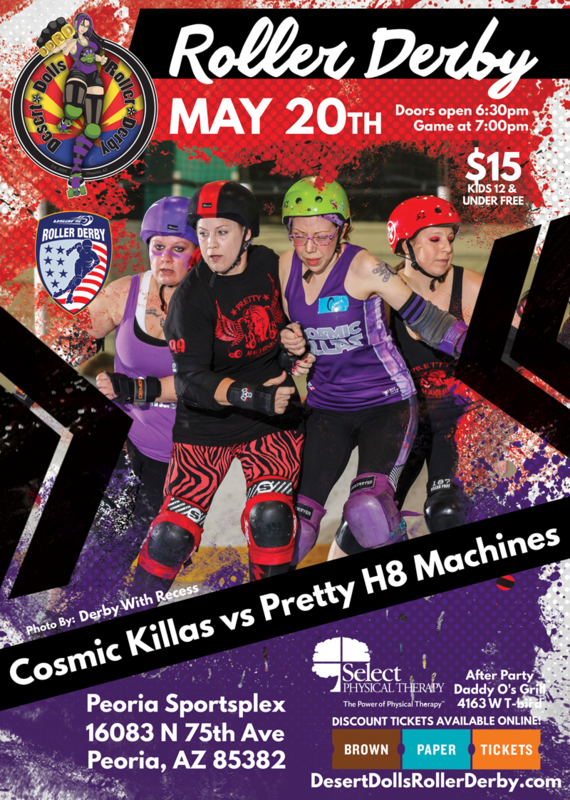 Join DDRD on May 20th to watch the Cosmic Killas and Pretty H8 Machines take the track to fight for their spot in the Championship game! Kids 12 & under get in for FREE!! Tickets will cost $15 at the door the day of, buy earlier to save a few bucks. Doors to the event open at 6:30PM, but we suggest you be there earlier to get good seats. After the game, join us at Daddy-O’s Grill for food, fun and drinks! !